Some of our sisters have written books over the years, some telling the history of the Sisters in Ireland and others for school/pastoral use in parishes. If you are interested in acquiring any of the books listed below, still in print, please contact us via the web site. Second Edition now available – The Ursulines in Cork since 1771 – adding two chapters to bring the story up to date in 2007. This book provides an easily accessible answer to these questions often heard on the lips of chaplains, catechists, youth leaders, parish liturgy groups and all who pray with young people. 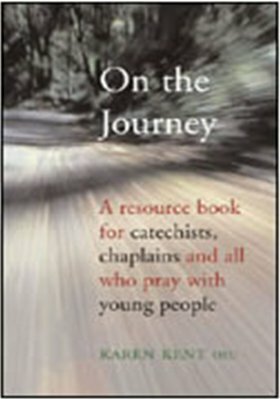 It offers 35 ‘prayers’ for the journey through the seasons with young people, in school and parish settings. They are the product of a journey made with young people and are appealing and stimulating to them in their faith journey. November 2004 saw the launch of the “Mass of Saint Ursula” a full musical setting of the texts of the Mass composed by Peter O’Kane from the Diocese of Derry and dedicated to the Ursuline Sisters. Copies of the full score are available to you – contact us using the contact form on this web site. To celebrate the Jubilee Year of 2000 the Ursuline Sisters commissioned an icon of Saint Ursula by the Dublin based iconographer Fearghal O’Farrell. Postcard size copies are available – please contact us via the web site.